What Were These Two Doing All Day? 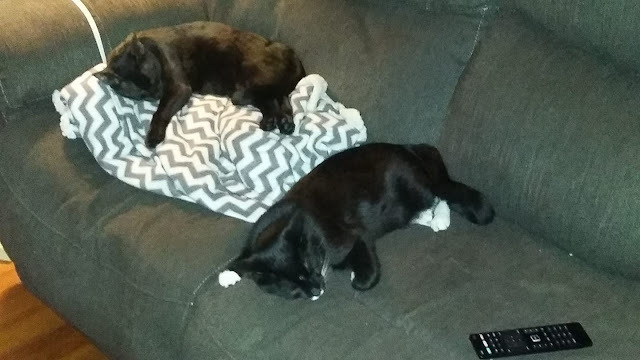 I came home yesterday evening and the two cats were passed out on the couch, as though they had run themselves ragged to the point they couldn't move any more. They were like this for quite a while too so I couldn't help but wonder what they had been doing while we were all at work/school.